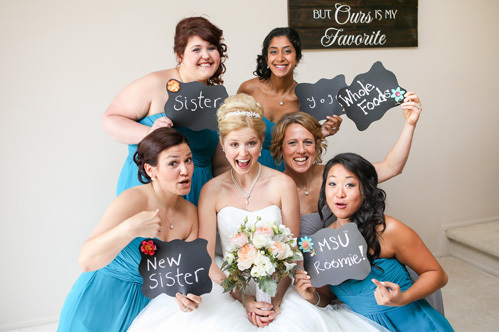 From silly second grade sleepovers to girls’ nights you’ll never forget, the sweet gals you’ve selected to stand by your side on your wedding day have been there for you through it all, even through months and months of wedding planning. 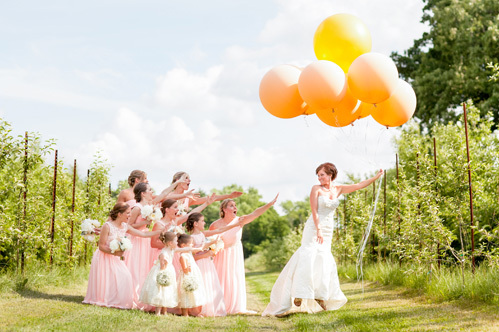 To celebrate these incredible constants in your life, we’ve rounded up the 10 bridesmaid moments sure to warm even the hardest of hearts. In fact, they’re so lovely, you might end up stealing a few ideas for your own special day (we hope you do)! 1. Up, Up & Away! She’s on the move! 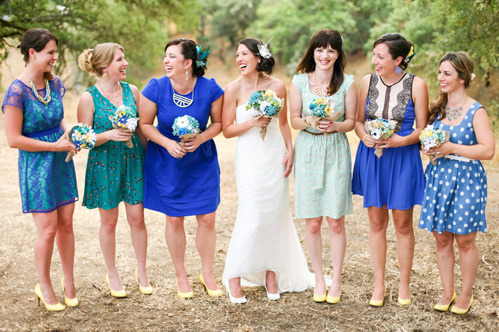 If there’s one thing that can add a little pizazz to your bridesmaid photos, it’s props. And these oversized balloons are sure to make one sweet statement! You’ve spent so much time selecting show-stopping accessories for your ‘maids —why not show them off? 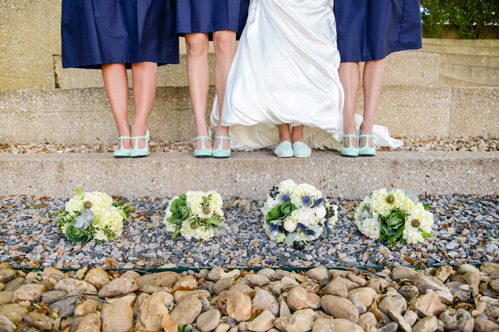 We love how this photo offers a unique change in perspective, and also gives the world a chance to see your girls’ stylin’ kicks! 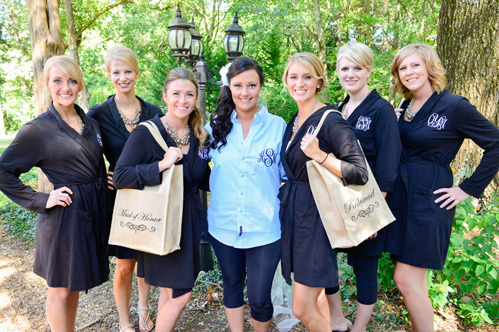 Your bridesmaids have grown with you through so many stages of your life. Pay tribute to those memories by posing for a photo that shows how each gal first came to know you! For a DIY touch, have each of your girls display their message on mini chalkboards — adorable, affordable and oh-so-meaningful! 4. You Make Me Feel Like a Kid Again! Impromptu pre-wedding pillow fight?! Yes, please! We firmly believe that the wacky activities you used to do as a kid are 10 times more fun when you do them as an adult. 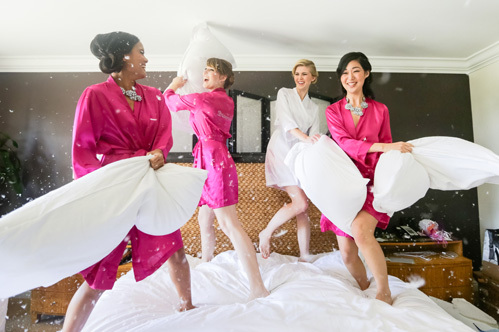 Plus, what better way to calm those wedding nerves than a giggle-filled pillow war with your besties?! 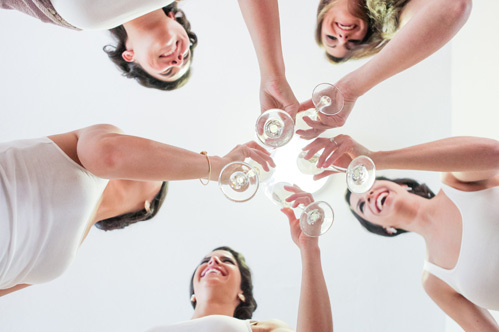 Start the best day of your life off right by sharing a little bubbly with your best gals! And if you have your photographer on-hand the moment your glasses clink, you’ll get to relive that moment over and over again! 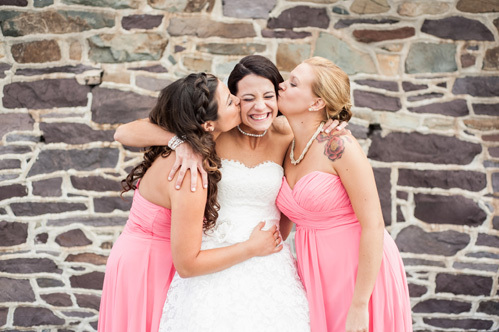 The moment your BFFs see you in all your bridal beauty for the first time can be equal parts emotional and heartwarming! 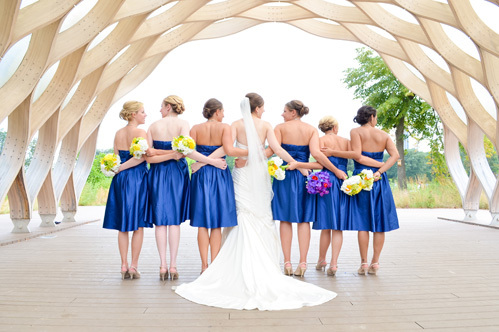 Having a photographer on hand will ensure amazing memories — like this one! – are captured in all their sweet, meaningful glory! A role this important deserves some extra recognition — an extra special gift your gals are sure to treasure forever. Don’t forget to have your photographer capture your ‘maids with all the adorable goodies you’ve given them! Can these girls be any cuter? We love how they used this photo to incorporate a classic pose BFFs have been doing for years! It’s the perfect way to remember what it’s like to be a kid — a light, fun photo you’re sure to cherish for years to come! Remember the last time you laughed so hard you cried? Chances are it happened when you were hanging out with your girlfriends! There’s nothing quite as wonderful as sharing a laugh with your best friends, especially when you’re psyched for an amazing day of wedding festivities! 10. Don’t Forget Your Beau! A list of wedding moments wouldn’t be complete without a little shout-out to your soulmate! A photo capturing your two favorite groups of people is simply the icing on top of the wedding cake. Amanda Liberatore is the mastermind behind George Street Photo & Video’s blog and social media resources. When she’s not scouring the internet for the latest wedding tips, trends and adorable details, she’s shopping at Kate Spade or poring over her favorite fashion blogs!